French customs: What habits might seem strange to foreigners? What French Customs Might Seem Strange to Americans? Must eat a few bites en route home. Faire la bise. The double kiss on both cheeks. I miss this more than anything, because in the year that I spent in France, I kissed more beautiful women this way than I ever did before or since. You kiss everyone you meet, and if you kiss someone as if leaving but then still hang out at the party, it’s very rude. These days the double kiss is mostly done woman-to-woman or woman-to-man, but older generations also practice it man-to-man, with no sexual meaning at all. Feeding children delicious adult food. None of this disgusting baby food or plain, tasteless crap. French parents don’t destroy their kids’ taste for good food before it’s developed by feeding them chicken fingers. They make them sit there and eat roquette salad and cassoulet de Toulouse. Not drinking everything (milk, juice, water) ice cold. Rather, drinking it at room temperature. In fact, when you’re brought water at a café, you will sometimes get a puzzled look from the waiter if you ask for ice. Helping complete strangers out of a sense of social solidarity. In America you avoid touching strangers for fear of legal liability if they get hurt while you’re helping them. In Paris, if you see a blind or disabled person at a corner, it’s considered completely normal to grab his arm and walk him across the street. If you’re out of spare change for a metro ticket and you don’t have a pass, it’s also very common for someone nearby to simply give you money to buy one. I had this happen several times, both as recipient and giver. Going to a family-run pharmacy to buy medicine. You can’t buy drugs at big stores, and there’s no equivalent of Walgreens. Being able to drive a car like an absolute maniac and having motorists not be considered second-class citizens versus jaywalkers (as they are here in the U.S.). 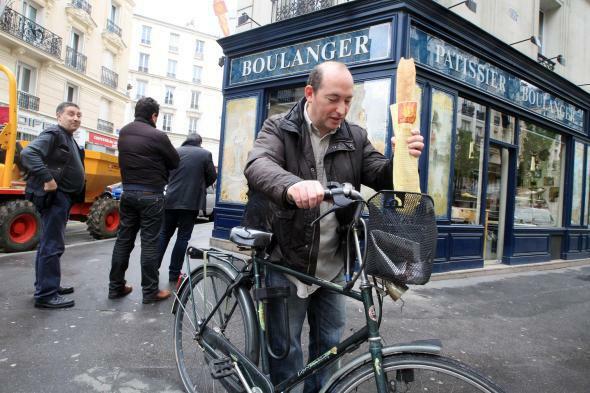 Tearing off the awesome crusty end of a baguette and eating it while you walk home. Talking about politics at the dinner table. Here in America, I at least was always taught that discussing politics at dinner was rude. But the French love frank, intellectual debates, and I can’t recall any dinner parties where politics wasn’t discussed. Ethnic and Cultural Differences:What are the differences between Ukrainian people and Russians? France: What are the most charming small towns in France? Social and Behavioral Norms: What is the creepiest thing that society accepts as a cultural norm?